Clean grip vinyl powdered disposable gloves. 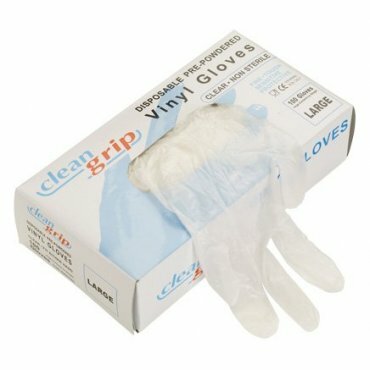 Clean grip vinyl powdered disposable gloves. Box of 100.